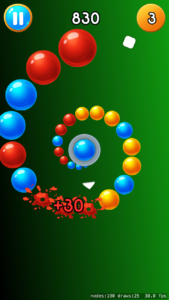 Shoot the bubbles into the vortex! 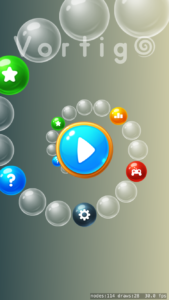 Match three or more bubbles of the same color to pop them, you’ll have to use all bubbles before the first of the line reaches the end of the spiral. 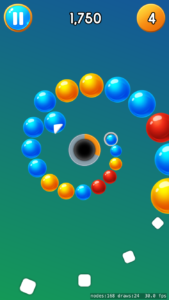 Endless: reach the highest level, non-stop fun! 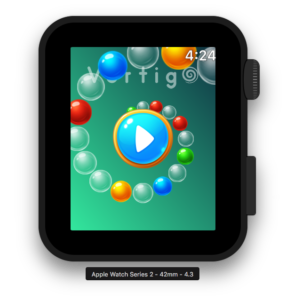 Classic: enjoy every single level and get the high scores! 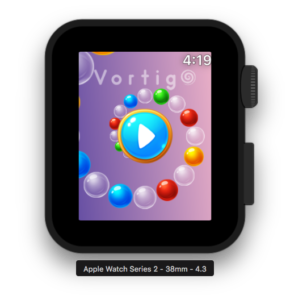 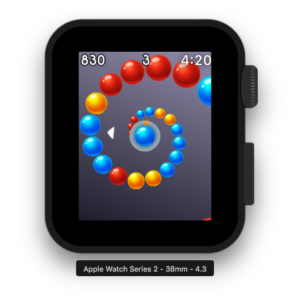 Vortigo – Bubble Shooting Game is optimized for every screen size so you can play on new Apple Watch series 4 and enjoy the bigger screen, use digital crown to move and tap to shoot! 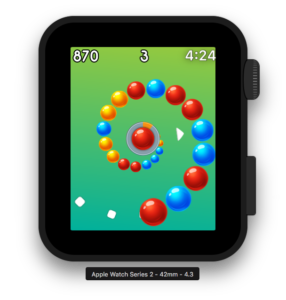 You can have fun with this game on your iPhone, iPad and Apple Watch.